We are excited about the changes added to the 2017 Autism Evansville Walk & 5K which will allow Team Captains to create their own fundraising WEBSITE and receive Autism Evansville INCENTIVES at several different levels of fundraising. Obtain your first incentive just by joining us on Tuesday, October 25th in the Emerald Room at Newburgh Central Library, 4111 Lakeshore Dr. (off Bell Rd. next to Old National Bank) at 6:30 PM. Chris Hubbard of 40 Lb. Sledgehammer (our Race Director) will be on hand to demonstrate the event registration and fundraising software to allow you to help us reach our fundraising goal! We appreciate the hard work and dedication families and businesses have shown us in the past, and we want to support you in your efforts. We will have Team Captain packets to help guide you, and we will be able to answer all your questions so please join us for this fun and informative meeting. Our Walk & 5K isn’t until April 8, 2017 but it’s time to start talking about it and ramping up! Thank you all for your support! Inspiring Autism Spectrum Families is beginning a new chapter in our history, and from now on we will be known simply as Autism Evansville. We’re still the same people, improving lives of those affected by autism spectrum disorder through our programs which show how much we care. We also have a new logo – carefully thought out and inspired by the following elements; it’s a spectrum of color (a visual of the autism spectrum of differences), in a quilt-like pattern (dedication, hard work, and family), the overlapping A and E (unity), transparency (as our board members and volunteers work behind the scenes), and the heart which represents what binds us all. It’s the core of humanity. Only through love and unity can we accomplish what we are meant to do. We’re starting the transition to our new look now – first on our website and social media. Other changes will be gradual over the next several months. We are indebted to The Evansville Design Group and their Design for Good Grant for giving us the gift of renewing our organization with this name and logo, and for all the good it will do in the future to help us serve others. Our new mailing address is Autism Evansville, PO Box 8052, Evansville, IN 47716. Find us on Facebook at Autism Evansville. We had an exceptional turnout of supporters on April 30th in the rain! Thank you to everyone who took part in the event. Every dollar raised stays right here in the community and goes toward programs that help those affected by an autism spectrum disorder. Special thanks to the Evansville Design Group for all their work on our new brand – we are now doing business as Autism Evansville! You will see some changes to come as we roll out our new logo in our marketing materials and on our website. Also we thank Mayor Winnecke for the Proclamation, and helping to unveil our new look! For photos of the event click HERE or the photo album link on the main menu under “Who We Are” on our main page. Indiana Autism Expo Registration is OPEN! learn about autism services, programs, support and resources for people affected by autism in and around Indiana. You will meet with providers and exhibitors who have information, tools and other items to share. There will be a wide variety of things to see and buy! All Indiana Autism Expos are FREE for attendees! 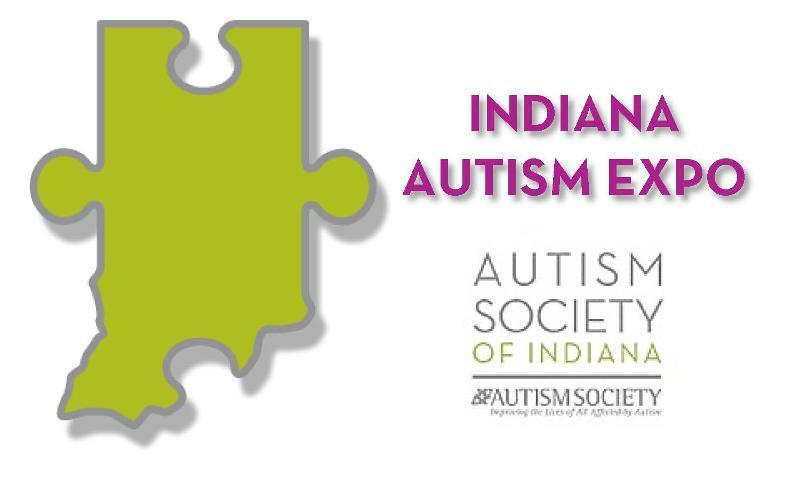 If you have any questions about the Indiana Autism Expos please contact Kelli Higgins at kellihiggins@inautism.org. The winner of the art contest for the design of the 2016 IASF Walk for Autism & 5K T-shirt is Ethan Selby. He is a 3rd year 2-D Arts student at Boonville High School. Ethan is a junior, and after graduating he plans on going to college to study graphic design and game design. Great work, Ethan, we love it! Congratulations! Our thanks to teacher, Mr. Bryce Burnett, and all the other students who participated in the contest! The Wednesday Night After-School Program resumes on January 13. Any Elementary or Middle School student who is in need of tutoring or homework help can call the church at 812-476-3018to register. The program is free but registration is required. An evening meal is provided for all students and their families. Like us on facebook to keep up to date with all our upcoming activities. and family skills training courses taught in group sessions. A family meal is provided each week. Participants will increase family strengths. Session topics include rewarding positive behavior, giving clear directions, setting limits, problem-solving, and parent-child communications. Strengthening Families builds on improving family relationships, parenting skills, and improving the youth’s social and life skills. Free childcare is provided for siblings during the training sessions. What: Free program! Strengthening Families consists of parenting skills, children’s life skills, and family skills training courses taught in group sessions. A family meal is provided each week. Participants will increase family strengths. Session topics include rewarding positive behavior, giving clear directions, setting limits, problem-solving and parent-child communications. Strengthening Families builds on improving family relationships, parenting skills and improving the youth’s social and life skills. Featuring free panel presentations by several expert guest speakers who work with the Autism and Learning Differences community and young adult transition; offering advice on the key stages of transition to adulthood including: letting go, adjusting to college, finding success in the workplace, and achieving independence.